Find out all the information you’ll need to grab a luggage trolley at all major airports across the UK. Never be left without a trolley again. Use the table below, view the inforgraphic or scroll down the page for in-depth information at all major UK airports. Find out what coins you’ll need – if any – and whether you can pay by card to hire an airport luggage trolley at all major UK airports. Simply use the dropdown menu below to find full details of luggage trolley costs at your departure airport. Heading through the airport as you start your holiday can be a stressful experience – and being forced to drag multiple cases behind you is a sure-fire way to make it all the more miserable. Sadly, this could be the fate that awaits at many UK airports. Bristol and Luton take the title of most expensive airports for luggage trolleys with a non-refundable charge of £2, but you will be able to save yourself around 43p by using an old €2 coin instead. If you do turn up at the airport without any shrapnel, just hope you’re departing from Birmingham or Luton, where travellers are given option of paying by card – even if the former does add a 40p admin fee to your £1 outlay. It’s not all a big money-grab, though. While many airports charge for the trolley, you will get the money back – supermarket style – when you return it. Even better, though, others – including Heathrow – still provide trolleys for free without even the need for a deposit. Travelling from one the UK’s airports? Make sure you turn up with the right change to grab a trolley. Here’s our airport-by-airport guide luggage trolley costs. Details: All baggage trolleys are fitted with a coin lock mechanism to ensure they are returned to designated collection bays. Where: Trolleys are available in areas such as the drop-off zone, baggage reclaim and car parks. How much: £1 or €1 coin or trolley token. Details: Birmingham Airport offers ‘high-quality modern trolleys’ at various points around the airport. Here are the details you’ll need. How much: £1 or €2 coin. Are credit/debit cards accepted: Yes, but there will be a 40p admin charge. Details: Find out what coinage is required for your flight from this airport on the sunny south coast. Where: Both departures and arrivals. Need change: Find out where the facilities are by clicking here. Details: Passengers at Bristol Airport can benefit from ‘high-quality modern trolleys’ in the airport terminal. Here’s the information you need. One vending machine near to the Car hire building. Are credit/debit cards accepted: Yes. No admin charges applied. Details: All baggage trolleys are free to use – but do require a deposit to be paid. Here are the details you’ll need to keep your bags rolling. Where: Trolleys are available at salient locations throughout Cardiff Airport. How much: £1 or €1 coin. Are credit/debit cards accepted: No. Details: Trolleys are available throughout the airport. You will need to carry change, though. Here are the details for departure day. Where: Trolleys are to be found situated around the car park and within the terminal in designated bays. How much: £1, €1 or trolley token. Details: Luggage trolleys are available to passengers using this airport. Where: Trolleys can be found at the terminal front and in arrivals hall. Is fee refunded: Yes – when trolley is returned. Where: Trolleys can be found in both arrivals and departures. Details: Luggage trolleys are available to passengers using Edinburgh airport. Are credit/debit cards accepted: N/A. Details: Luggage trolleys are available to passengers using Exeter Airport. Here are the details you’ll need. Need change: Not a problem at Exeter Airport. Well done! Details: Grab your trolley but you’ll need to carry a coin! Where: Luggage trolleys can be picked up from drop-off, baggage reclaim and all other relevant areas of your journey through the South Terminal. How much: £1, €1, 25¢ or trolley token – the new 12-sided £1 coin is accepted in trolleys at Gatwick. Is fee refunded: Yes, when trolley is returned. Where: Luggage trolleys can be picked up from drop-off, baggage reclaim and all other relevant areas of your journey through the North Terminal. Where: Find luggage trolleys available from designated areas of the car park and terminals..
Where: Baggage trolleys are provided in key areas around the terminal buildings. Arriving passengers will find plenty of trolleys in baggage reclaim, and these can be taken to the car park, bus station or rail station access points.Trolleys are also provided on the departures concourse. Please note that they can’t be taken through security control. Details: Make sure you grab some change before heading to Leeds Bradford Airport. Where: Trolleys can be found in designated area accessible to arriving and departing passengers. Need change: Download this terminal map to find ATMs and locations to get change. Where: These can be found at trolley stations throughout the terminal. Are credit/debit cards accepted: Yes. 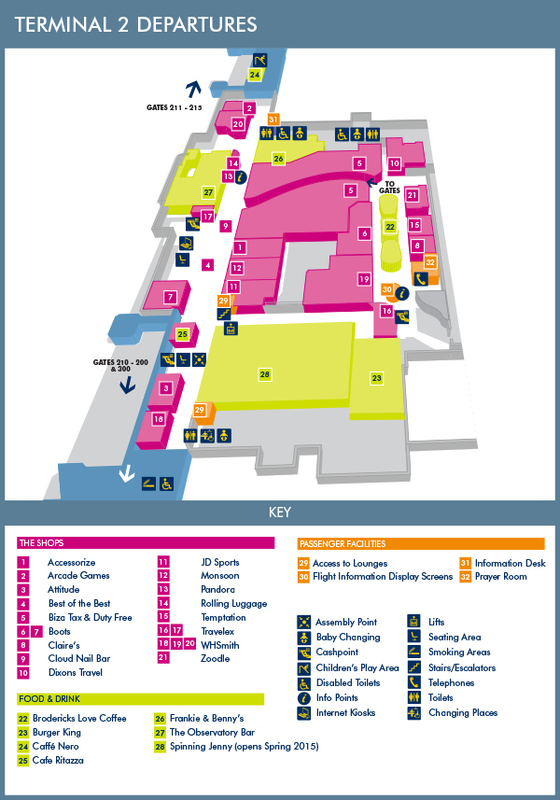 Need change: Find ATMs and shops to obtain change at Luton Airport by downloading this terminal map. Details: Manchester Airport acknowledges charging for trolleys isn’t popular, but cites falling air fares and investment costs as the reason behind them. Where: Trolleys can be found throughout the airport for both arrivals and departures. Need change: Need to find some change? Check out the terminal maps for shops and ATMs. Where: Find trolleys at various locations both inside and outside the terminal building. Details: Here are the details you need for luggage trolleys at Prestwick Airport. Details: Here are the details you need for luggage trolleys at Southend Airport. Need change: Find your way around the Southend Airport terminal here. Is fee refunded: Yes on return of trolley. Need change: Find change machines in the international and domestic baggage reclaim halls, on the terminal forecourt and in the coach station.